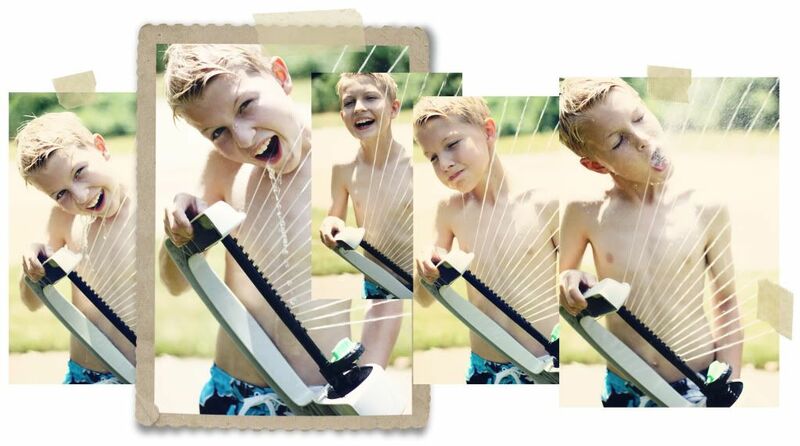 Welcome to Week Eight of the Crazy Days of Summer Photo Challenge. The theme this week is motion. Capturing motion in photography is a cinch if you are wanting to freeze water droplets or a jump suspended in air. All you need to do is set your camera to shutter speed priority (TV) and bump the shutter speed up. It works best on a bright sunny day like the ones we have been having this week here in the midwest. The brighter the day, the higher the shutter speed can go. These water pics were taken with my Canon 50D at around 1/1250th of a second, f/2.2, ISO 100, 50mm. Processed with Florabella's Halo action. 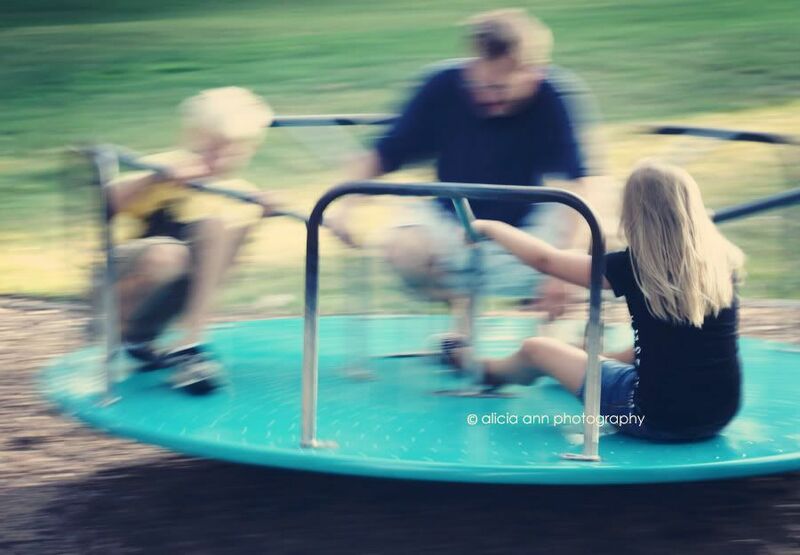 Unlike freezing motion, capturing motion blur is a skill that is difficult to master. And if you want to do it beautifully? It may take a lifetime to accomplish. I look at photo magazines and marvel at their exquisite shots that appear seemingly effortless. One method is panning. For part of my spring photo challenge I shared some examples of panning with bikes and scooters, a technique that requires you slow the shutter down and pan your camera as you follow your subject. The goal is to keep your subject clear while blurring your background to give it the effect of movement. Earlier this week we also tried a merry-go-round. I feel sick just looking at this. And funny enough, my entire family was sick after this ride. Possibly heat related? My focal point was Pokey. This one was really tricky since it was circular. Not spectacular, but I'm sharing it because photography is a process. I am learning and growing every. single. day! Oh, and FYI: the lighting in the grocery market was less than conducive for stellar panning pics, but it sure was entertaining and we got some interesting looks. I recently had the opportunity to watch a sunrise in the OBX, North Carolina. If you knew me at all you would know what a big deal it is that I woke up before the sun. For this photo I set up my tripod and set the f-stop to 32 and the shutter speed at 1 second. If I'd known what a cool effect this was going to be I would have played around more with shutter speed. Longer shutter speeds are key to achieving that soft “dewy” look so common to moving water. Generally, speeds of 1/15 second or longer will blur the water to create this artistic effect. The best advice I could offer would be- Don't be afraid to play around a bit. You learn best by trial and error. Thanks so much for stopping by! Can't wait to see what kinds of motion you managed to capture. P.S. 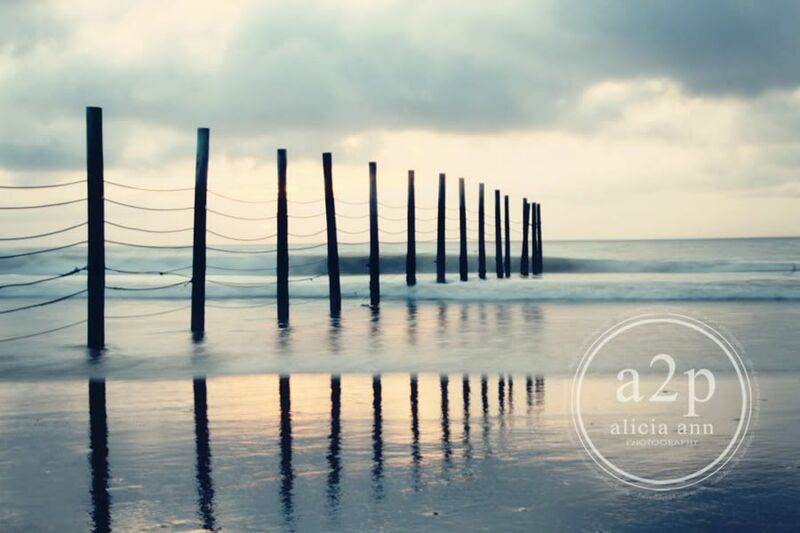 One of my photos was featured at Family Fountain in a post entitled Balanced Lives. Definitely worth a read. A great reminder to slow down and not forget what is important in the scheme of life. ----------------------------------------------------------------------------------------------------------------Share your favorite images inspired by the Crazy Days of Summer theme-of-the-week and grab our sweet button while you're at it! The theme for Week 9, July 29nd is bubbles. I can't wait! Don't forget to stop over at Kristi's place to check out her cool motion pics! These are great shots! I love the shopping cart. The ones of your niece are beautiful, though I particularly love the one where she is in the air--so beautiful like ballet but on the beach! I just love the shots of your niece. Her dancer's form really comes through. So elegant and graceful! That panning shot of Pokey in the shopping cart is still cracking me up. She's so much like my oldest daughter. Two drama queens. :) Thank you so much for being such a great partner. I've really enjoyed running the Crazy Days of Summer with you. Have a great weekend! As always, beautiful photos. But I really like the shopping cart one. Your daughters face is priceless. Thanks for photo tips! Im always eager to learn stuff like this. thanks for sharing. Have a great weekend everyone! I love your pictures. I'm really gonna have to learn and study. And play around with my camera. I like the shopping trolley shot! I can't decide which photo I like best - I guess all of them for different reasons! Your capture of your niece is exquisite and I totally love the water motion capture - beautiful!! 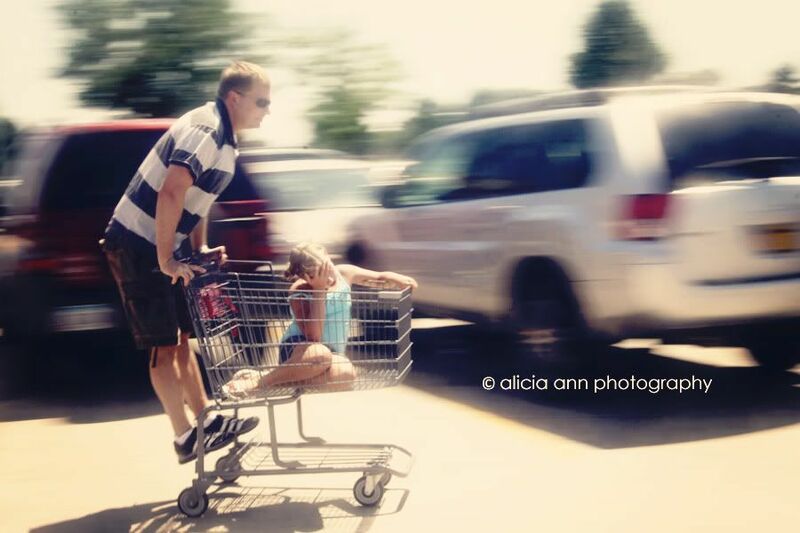 I love the shopping cart photo!! Awesome capture! Love it all! Love those panning shots - great tips. I need to practice them! I LOVE your pictures!! these are awesome and so so beautiful!! love your blog! What great shots, really inspiring! Thanks so much for sharing! I love that last shot. Gorgeous! Wow again! Pokey makes me laugh and miss you guys already. Love the last shot. That turned out beautiful!! Your merry-go-round photo is great! love this!! Thanks for the lessons. Your photos amaze me every week. I love them!! !